/ Modified sep 16, 2015 11:48 a.m.
Tucson residents join national celebration to support local businesses. Shoppers pay a visit to The HabiStore. 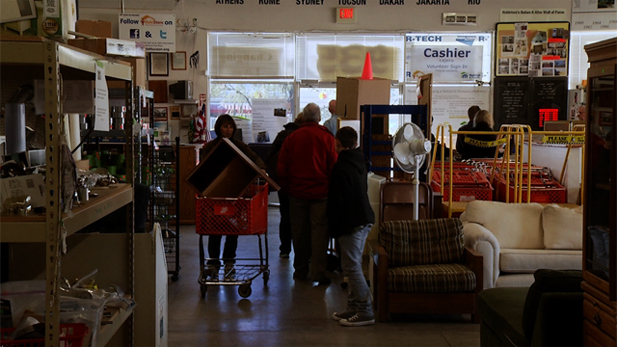 It's a thrift store operated by Habitat for Humanity. Millions of people will be celebrating Independence Day on the 4th of July but others are also taking part in a week-long event that focuses on independents, not independence. The 10th Annual Local First Arizona Independents Week is being held from Saturday June 27 until Sunday July 5. 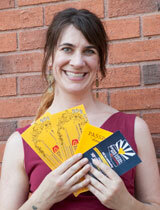 Lisette DeMars is the southern Arizona membership coordinator for Local First Arizona. She said Local First Arizona is a nonprofit organization whose main goal is to keep jobs and dollars in Arizona by sourcing items locally and encouraging residents to shop from locally-owned stores. Demars said the annual event is vital to "Mom and Pop" businesses, especially during the typically slower summer months. "It's a time for Arizonans to support their neighbors and support the economy that really keeps Arizona alive, especially this time of year." AMIBA, the American Independent Business Alliance, says local businesses improve their economies, ensure choice and diversity, and help maintain community character. There are now more than 80 independent businesses alliances across the country.